Watching the mass build grow over the last few years has been fantastic, and I am sure that the organisers are responsible for a good few modellers having a bash at building, well done chaps. It fills me with hope for the future of scale modelling. Anyway Mr Bott and I were wondering if any modellers would like to perhaps up their game a bit and join in with perhaps a scale build? 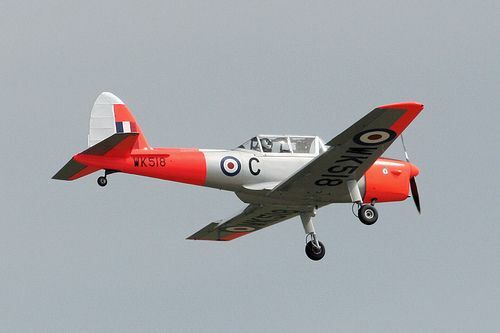 The subject matter is the DHC1 Chipmunk. The Elite plan is by Dennis Bryant and it is at 1/6th scale. This will give a model of 68" span. The hope is this will give you a taste of a fairly accurate scale build. There are areas where the modeller can duck out of the tough bits if they want and improvise. The model is for IC but we will be converting it for electric. Chris wants to use a conventional lipo, I will probably go down the A123 route. Those that want to follow our mods then great. If you want to build it stock for IC then that's great too. The more the merrier. The build wont start for several months, so people could perhaps gather bits at shows during the summer. We thought we would give early notice and see if anybody wants to join in. I have the bits and they look very good quality and not overly expensive, Chris has ordered his kit and is waiting delivery. So anybody want to take on a twin cockpit classic trainer with rivets, rib tape and a landing light? you can go off people you know. humpf. Tempting, always liked the chippie. I could be tempted. But would have to be I.C. for me. Ic is fine, I am not a very good judge of such things, but it will be light thats for sure, Dennis doesn't do heavy.... one of Neil Tideys finest perhaps? The Dennis Bryant Chippie is on my todo list, 80 4s ic equipped, after I'd gained a bit more building experience! If I can get my shed erected and organised in time then yes I'll get the build experience with the Chippie along side the mods! I obtained an Airsail Chipmunk kit last year, which someone had started. The idea was to take the constructed parts to bits (built in warps) and rebuild it as my first proper scale build. It is also 1/6 scale. I could build along with you and compare construction. Aaaaaaargh!!! I thought I had just sorted out my build plans and now you come up with this! How did you know that I already have the plan and cut parts in a nice box all hidden away so I don't get tempted yet!! Also my lovely but now late HK Zlin 50L has very recently involuntarily donated an ASP 70 FS which will go nicely into the Chippie. How can I not do a build along with you all??? Count me in then - maybe this is the discipline I need to crack on with my list. My recent build timetable has just been binned. Must finish the Grob Tutor, Oodalally and my long suffering Dennis Bryant Turbulent first tho' so don't rush things! My Chippie has to be the RAF silver/dayglo Cambridge UAS scheme seen in the 60'sbut largely ignored these days in preference for the earlier silver/yellow band scheme or the red/white scheme of the 70's. This is kinda what I like! There is a similar size Chipmunk in the MyHobbyStores plans range --the one by Roger Pegg in Radio Modeller 1983. Welcome aboard Glenn, Terry, Kevin Thanks KC I don't know the plan you mention but this one by Dennis we have already purchased. I have also bought the glass cowl and clear canopy. Its pretty accurate and uses some nice build techniques to master. Terry that's an interesting scheme. That's an aerobatic team livery isn't it? You beat me to it by seconds Danny. Rats, would have loved to join in, but I'm halfway through a SLEC/Apache Chipmunk build. It's sort of 1/5 scale (well, stand-(way)-off scale that is) and I have too many other kits and plans waiting to do another Chipmunk, but I will be following with interest. 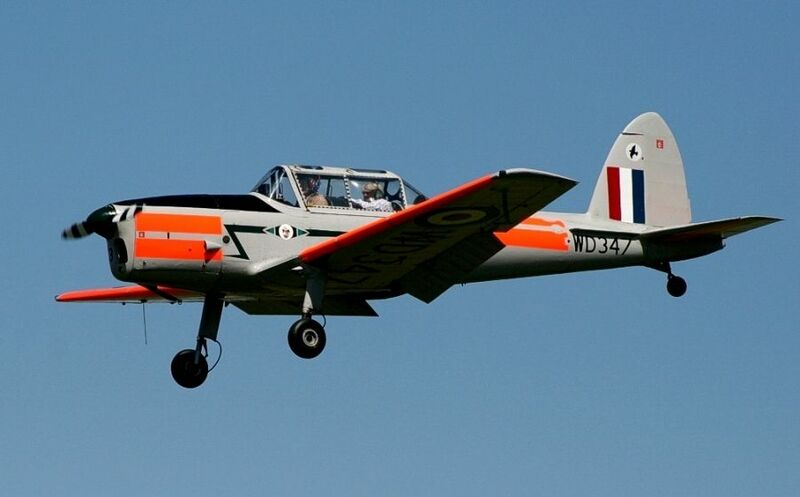 I've flown a few full-sized Chipmunks and rebuilt/restored/maintained even more, so if I can help with photos or info let me know (although my access to them is less frequent now). Sorry Chris, and it was you that pointed the scheme out to me!